French lawyer, politician, and epicure. 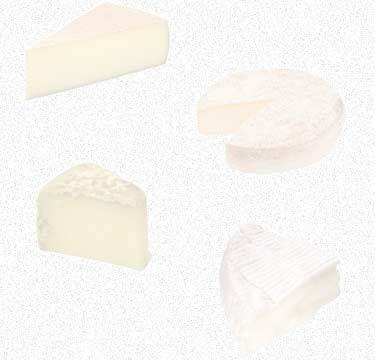 These listings of cheese shops in Paris have been compiled from numerous sources. We cannot be held responsible for their accuracy. Like any small business, cheese shops come and go, or change locations. Hours of operation are also subject to change. Are you a store owner, or perhaps a shopper and lover of cheese? We happily accept reviews of your favorite fromageries and the products they carry! If you know of an error in our listings, or a store which is no longer in operation, we would appreciate greatly if you could report it here. Thank you! Softcover, 400 pages. Language: French. Publisher: Le Cherche-midi Editeur (October 2002). Pocket paperback, 478 pages. Language: French. Address: 21, rue du Roule, 75001 Paris. Louvre Rivoli (line 1), Pont Neuf (line 7). Address: 49, rue Berger, 75001 Paris. Hours: 8:30 a.m. - 1:00 p.m. and 3:30 - 7:00 p.m.; closed Sundays & Mondays. Les Halles (line 4), Louvre Rivoli (line 1). RER: Châtelet Les Halles (lines A, B, D). Address: 6, rue du marché Saint Honoré, 75001 Paris. Hours: 8:30 a.m. - 1:00 p.m. and 4:00 - 7:15 p.m.; closed Sundays & Mondays. Tuileries (line 1), Pyramides (lines 7, 14). Address: 32, rue Montorgueil, 75001 Paris. Les Halles, Etienne Marcel (line 4). Address: 25, rue Danielle-Casanova, 75001 Paris. Hours: 8:00 a.m. - 1:45 p.m. and 4:00 - 7:15 p.m.; closed Sundays. Address: 86, rue Montorgueil, 75002 Paris. Address: 8, rue des Petits Carreaux, 75002 Paris. Company President: Jean-Michel Sanles. Store Manager: M. Pannier. Company headquarters are based at: 62, rue de Lille, 94550 Chevilly Larue. Founded in December 1997. 39, rue de Bretagne, 75003 Paris. Address: 39, rue de Bretagne, 75003 Paris. Hours: 8:00 - 1:00 p.m. and 4:00 - 8:00 p.m.; closed Sunday afternoons & Mondays. Filles du Calvaire (line 8), Temple (line 3). A fine assortment of Chèvres Fermiers and Gruyère d'Alpage (in season), plus numerous house specialties. Cheese platters prepared on request; wine selection available; Carte Bleue credit cards accepted. The proprietor says, "As a child, I made butter, cream, and small cheeses with my great-grandmother on our farm. Having acquired a taste for the craft and territorial products, I became a cheesemaker in Paris. I personally select my products and enjoy meeting with the cheese producers. As a family business, we maintain the tradition and respect for our cheesemaking heritage." Address: 38, rue St-Louis-en-l'Ile, 75004 Paris. "I went into a French restaurant and asked the waiter, 'Have you got frog's legs?' He said, 'Yes,' so I said, 'Well hop into the kitchen and get me a cheese sandwich.' "
Address: 13, rue Rambuteau, 75004 Paris. Address: 76, rue St-Louis en l'Ile, 75004 Paris. Hours: 8:00 a.m. - 7:30 p.m.; closed Mondays.